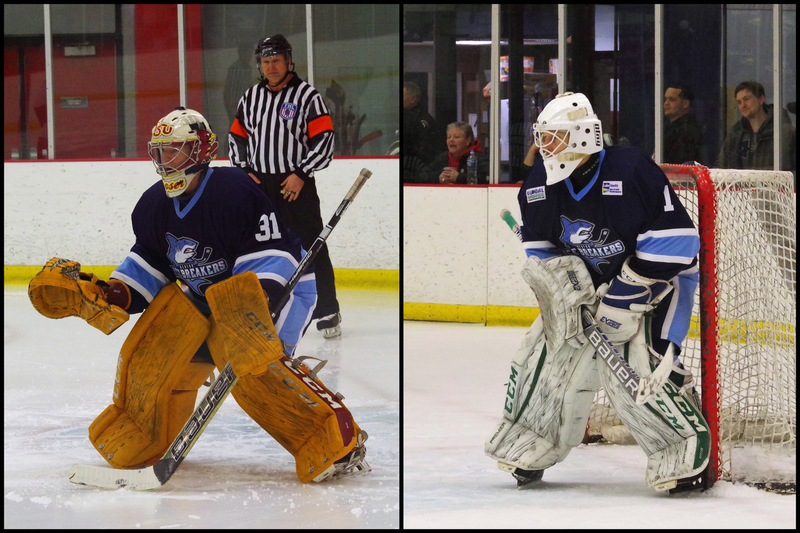 The Ice Breakers goaltending corps consists of Derek Moser and John Sellie-Hanson, a pair of FHL rookies. Moser, 25, hails from Tomah, Wisconsin. The 5-foot-11, 165 pound netminder played two years of junior hockey with the Southern Oregon Spartans (NPHL) and the Rochester Ice Hawks (MNJHL) before spending a year at Eastern Washington University. Moser went on to play for four seasons at Iowa State University (ACHA) and had a 2.91 goals-against average to go along with a .913 save percentage as a senior in 2017-18. He is second in the Federal Hockey League with three shutouts and has a 4.23/.884 slash line over 22 appearances with the Ice Breakers. Sellie-Hanson is a 26-year-old out of Fargo, North Dakota. After playing at Fargo North High over three seasons, the 6-foot, 180-pounder spent two seasons with the Dells Ducks in the MNJHL before beginning a four-year collegiate career at Hamline University, where he posted a 3.05/.900 slash line as a senior in 2016-17. Sellie-Hanson spent the following year in Sweden playing for a Division 2 professional club before coming to the Ice Breakers in mid-December. He earned his first win against the Port Huron Prowlers on January 11 with a 25-save effort. 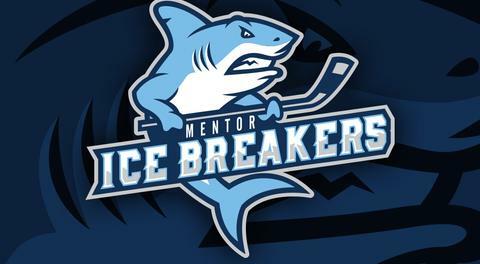 Q: What led you to the Ice Breakers this season? Derek Moser: I was looking for an opportunity to play and I was lucky enough to get a chance here in Mentor. I am very thankful for that opportunity! John Sellie-Hanson: I was still searching for a team in December and one of my former teammates from Hamline University, Drake Hunter, was playing here at the time and put in a good word for me. Coach Duncan brought me in for a tryout and things ended up working out. Q: Derek, how do you think your time at Iowa State helped prepare you for life as a pro? DM: My time at Iowa State was a great experience that helped me develop overall as a person. Two significant areas were in getting an education and becoming much more social, as I was an extremely shy guy growing up. When it comes to hockey, Iowa State ran a very tight and disciplined program, which helped in justifying hockey as one of my top priorities. The program helped me develop and work on my game both on and off the ice. I grew a lot and made a ton of positive connections at ISU. Q: John, what was it like playing professionally overseas? Did your time at Hamline University help prepare you for the experience? JS-H: Playing overseas last season was a great experience. Most of my ancestors immigrated from Norway and Sweden, so it was pretty surreal to get an opportunity to play professionally in one of those countries. Some of my Norwegian family were able to come watch me play and I was able to experience a traditional Norwegian Christmas with them. It was a very memorable year to say the least. My time at Hamline University definitely helped get me ready for this experience. Over the four years I spent at Hamline, I was able to grow both as an athlete and a person. DM: I am not too superstitious, but I definitely have a routine. I eat, shower, and leave for the rink at specific times. Once I arrive at the rink, I change into my off-ice warm-up attire. I usually start with a light warm-up, juggling a soccer ball at least 100 consecutive times without dropping it. I really try to focus my eyes on juggling the soccer ball, so it's a bit of a warm-up for my eyes too. Once I get to 100, I keep the streak going until I drop it. I just make sure to get at least 100 in a row. My record is 443. Following that, I do some foam rolling and a dynamic warm-up. If I need to, I will ask for [Ice Breakers trainer] Shaun's help with some extra stretching. After this, there is typically a team meeting. If there is not, I will go play sewer (soccer) with my teammates and make sure everything is moving and feeling right before I start to get dressed. I start getting dressed for on-ice warm-ups around 25-30 minutes before we get on the ice. Once my bottom half is on, I take a few minutes to breathe, do a little bit of last minute visualization (the real visualization is done earlier in the day), and focus on being present. At 10 minutes before we get on the ice, I put the rest of my gear on and head out of the locker room to do some more breathing for the next few minutes before we get on the ice. JS-H: My game day routine is fairly simple. Starts out with a healthy breakfast followed by either heading to the rink for pre -game skate or going for a walk. Next is getting a good lunch in along with watching a little TV or a movie. I'll follow lunch up with a pregame nap then after that I'll grab another bite to eat before heading to the rink. Once i'm at the rink, I put my headphones on and start to get ready for the game. I have a 30-minute mobility warm up I run through, then I get half-dressed and start to visualize myself making saves. My game day routine is fairly similar to my practice routine. I find it is important to have a consistent routine to get myself both physically and mentally ready to go everyday. DM: Dominik Hasek is my all-time favorite. Marc-Andre Fleury is my favorite current player. DM: Outside of hockey I enjoy other sports like golf, floorball, and soccer. In the summer, it's hard to name a better place to spend a nice afternoon than on the golf course. I also enjoy some very casual videography. JS-H: Golfing, reading, fishing, cross-country skiing, really anything outside. 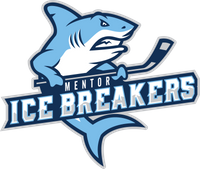 Q: It's been an up-and-down season, but the Ice Breakers are still within striking distance of a playoff spot. What do you think it will take to make a run to the playoffs over the next couple of months? DM: It will take our full team firing at 100%. We have to be focused day in and day out, on and off the ice. We need to embrace the grind to make the playoffs. JS-H: As long as we stay healthy, I think we can get a spot. We have been dealing with quite a few injuries lately and have still been able to put together some great games with a shorter roster. Once we get everyone back, I think we will make some noise in the league. DM: I love food in general. I'm not sure that I have one clear cut favorite, but a few highlights include pasta, lasagna, chicken, potatoes, yogurt, and cereal. JS-H: Hard to pick just one with so many great movies out there. I'm not very picky and am always up for a good comedy or action movie. A few of my favorite movies are Step Brothers, The Shawshank Redemption, Miracle, and Billy Madison. DM: I can appreciate almost any type of music, but lately I've been listening to a lot of tropical house and classic rock. JS-H: EDM is usually what I listen to. I enjoy most genres of music though and change it up frequently. DM: I once had an Albatross on a Par-5 during a youth hockey golf fundraiser. JS-H: I eat dark chocolate everyday. DM: All of it! From the youth hockey tournaments, to playing in national tournaments, to playing today! JS-H: Winning a league championship at Hamline is definitely up there along with playing in Sweden last year, but every year of hockey has been pretty memorable and enjoyable for me.